Fashion-forward Barbie fans have another reason to look forward to the holidays. Home grown women’s wear brand Plains & Prints has teamed up with the international fashion icon to launch a new collection inspired by her timeless elegance. 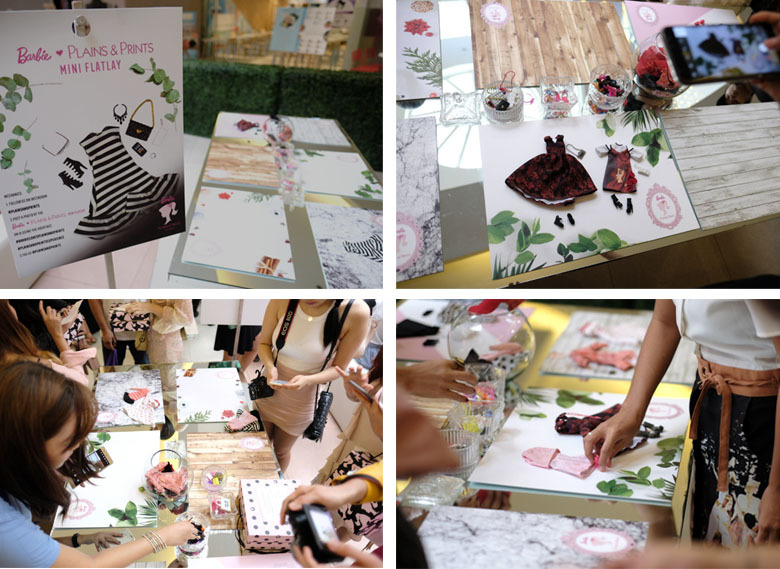 Fantasy turned into reality as Plains & Prints recreate a life-size Barbie Doll house for the launch of Barbie Loves Plains & Prints. Barbie doll runway. Barbie dolls wearing the pieces from the Barbie Loves Plains & Prints collection. The mini flat lay activity during the launch was a big hit! Guests were treated with sweet and dolled up treats. 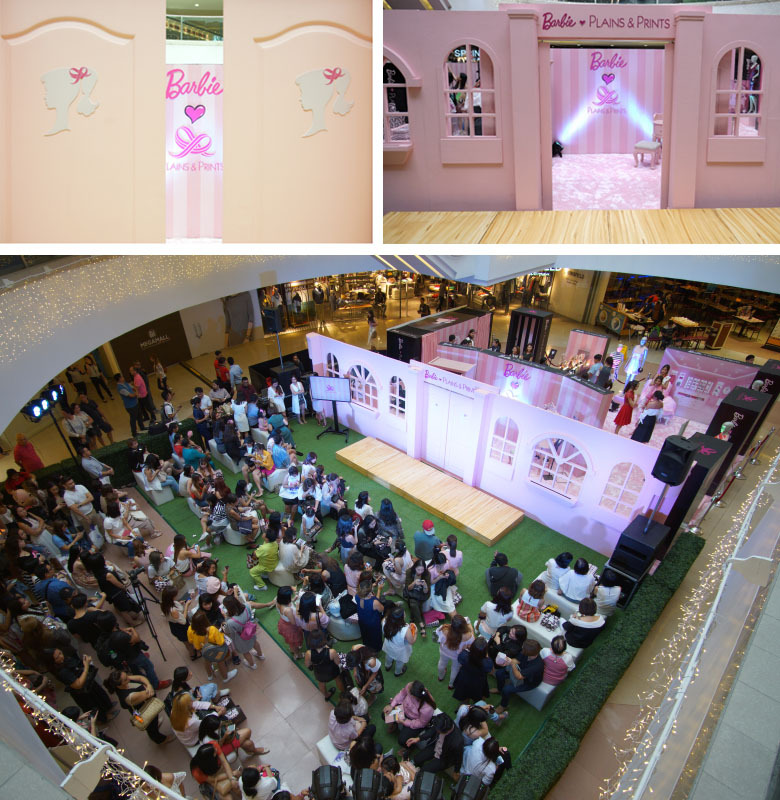 In celebration of the Barbie Loves Plains & Prints collection’s grand reveal, the fashion brand recently transformed the Mega Atrium in SM Megamall into a life-size Barbie doll house, gathering together some of the country’s style authorities, top models, and members of the press for a day of elegance, shopping, and exciting activities. The new capsule collection was created in partnership with Mattel Inc., and features a range of stylish dresses that reinvent the iconic looks Barbie has been known for through the years. 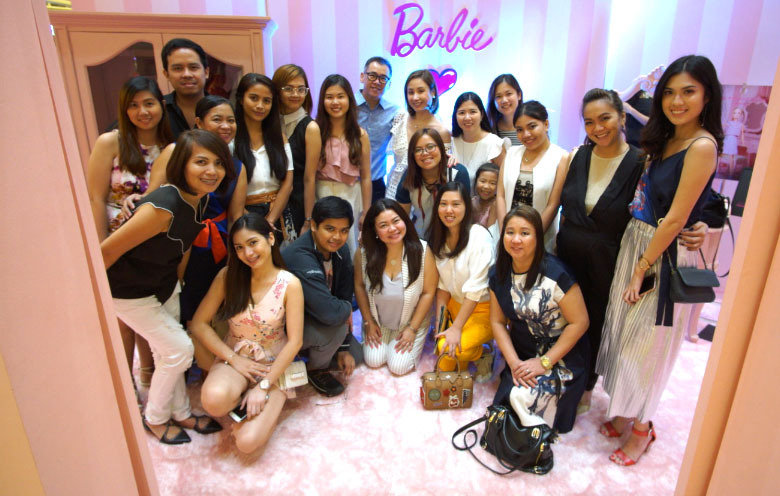 together with 5 models wearing a piece from the Barbie Loves Plains & Prints collaboration. 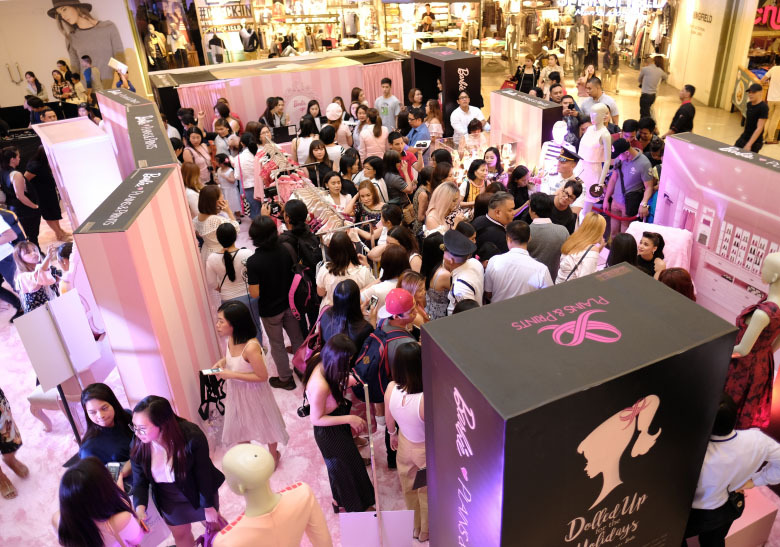 Anne Curtis inside a life-size Barbie doll box. 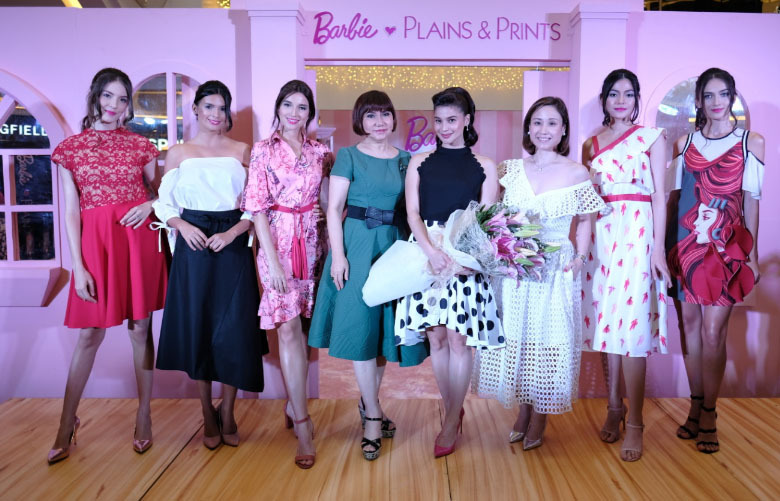 Plains & Prints brand ambassador Anne Curtis, who donned the Soda Shop-inspired dress like a real- life Barbie during the fashion show, says the collection is the season's must-have. 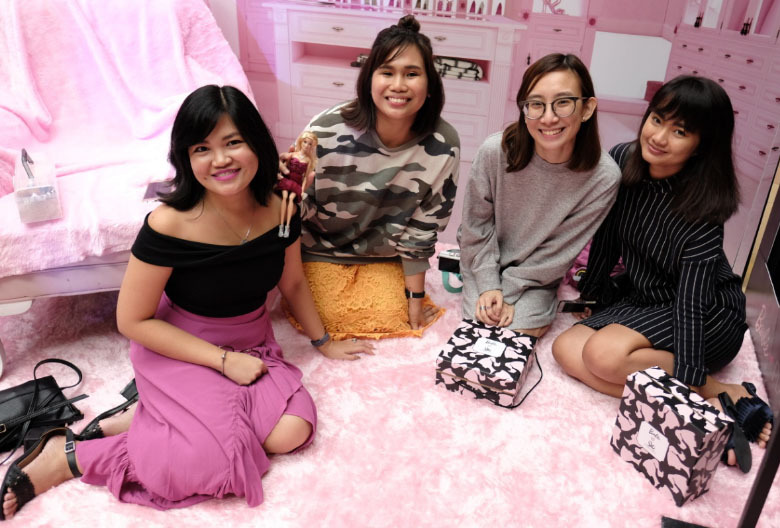 "I love that the collection allows women to get dolled up for the holidays, especially since it's the time when there are lots of parties and special occasions to attend. It also makes the perfect gift for your sisters, friends, mothers, and all the other special ladies in your life," says Anne. 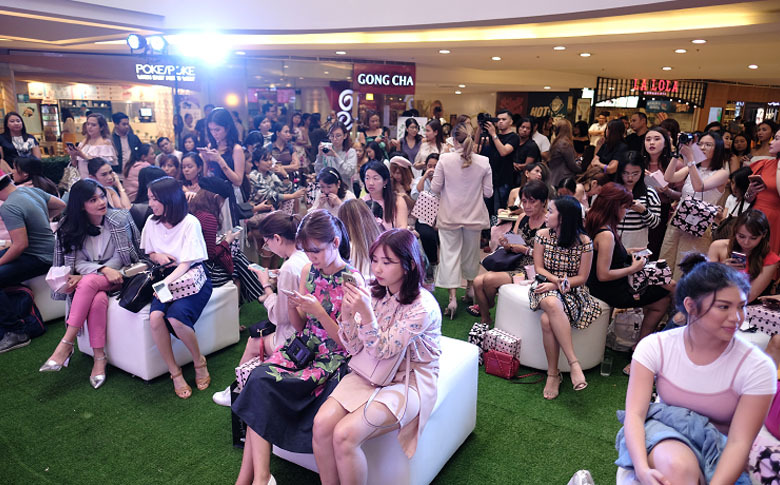 Among the faces seen during the event include TV personalities Janeena Chan and Helga Krapf; popular Youtuber Janina Vela; top style bloggers Tricia Gosingtian, Vern Enciso, and Say Alonzo; models Chelsea Robato and Denise Oca; and news anchor Lia Cruz who hosted the launch. 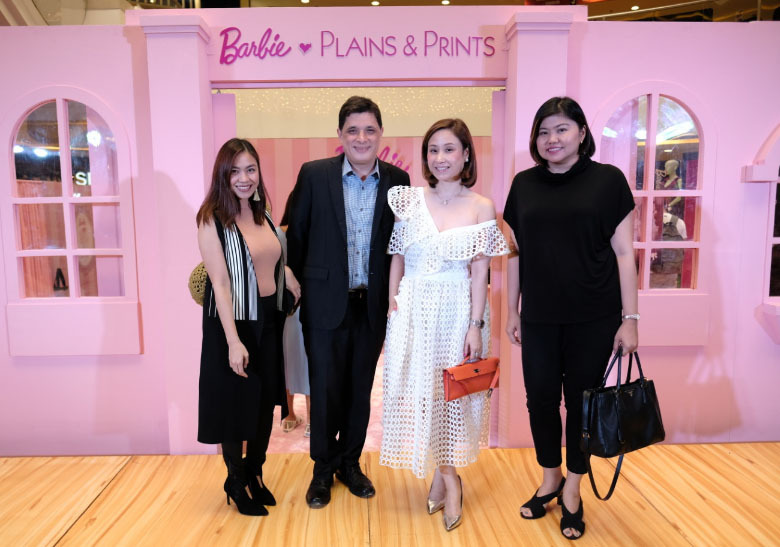 The #BarbieLovesPlainsAndPrints collection will be officially available at Plains & Prints stores nationwide starting November 7, 2017. For more information, visit www.plainsandprints.com, LIKE Plains & Prints on Facebook, and FOLLOW @plainsandprints on Instagram and Twitter.